There’s a blurb from The Bookseller that appears on several of James Lovegrove’s book covers that reads “Lovegrove has become to the 21st Century what J.G. Ballard was to the 20th.” I find this comparison funny, or at least peculiar, as I vaguely recall somebody–possibly Mark Ziesing–calling Ballard the 20th Century’s H.G. Wells. (Never mind that Wells lived and wrote well into the second World War.) Does this make Lovegrove–by extension, as it were–the 21st Century Wells? While I can attest to the validity of the Ballard / Wells comparison, I had never read any Lovegrove until recently. Lovegrove seems to be best known for Age of Ra, an alternate history sci-fi action spectacular in which the Gods of ancient Egypt have taken over the British Empire. The premise is a bit outlandish, perhaps, but no more so than the alien lizard people who rule Britannia in Lavie Tidhar’s Bookman Histories. It could be wonderful. So why didn’t I start there? A stroll over to Solaris Books–Lovegrove’s mass market publisher–will show you why. Though Age of Ra is a relatively recent book, it has already been followed by Age of Zeus, Age of Odin, Age of Aztec, and Age of Voodoo, as well as the novellas Age of Anasazi, Age of Satan, and Age of Gaia. While the urge to repeat a success is certainly understandable, a palpable odor of dead horse hangs over this series. I decided to start elsewhere. The new series starter Redlaw seemed more my speed anyway. Our titular hero, John Redlaw, is an officer of SHADE, the Sunless Housing and Disclosure Executive, Sunless being the politically correct term for vampires. Redlaw is an aging veteran, having joined SHADE at the time of its formation twenty-some years previously, when the sunless–driven from their traditional Balkan homelands–started arriving on British shores. At present, the sunless are corralled into SRAs–Sunless Resettlement Areas–fenced ghettos reminiscent of prewar Nazi Germany’s housing for Jews. In theory, the fences keep the human and vampire populations safely divided. In practice, the strong and agile sunless can leave any time they like, though they risk summary destruction at the hands of SHADE. Vampire-hating Stoker gangs roam the borders of the SRAs, eager for a piece of the action. When this uneasy truce is broken by a series of riots, Redlaw begins to suspect that someone is manipulating both groups. But to what end? Vampires aside, Redlaw is your basic troubled-cop-uncovers-massive-conspiracy potboiler structured like an open-play mystery, where the reader knows more than the protagonist. Our villain, Nathaniel Lambourne, is a fairly standard evil billionaire, aided and abetted by the more well rounded Giles Slocock, a brutally self-serving MP. Action sequences punctuate the plot at regular intervals, including an all out riot at the very steps of Parliament. Lovegrove tries to elevate his narrative to the level of allegory, making clear parallels between the treatment of the sunless–most of whom were turned against their will–and the real-world treatment of other despised minorities, especially Jews. I find this analogy suspect, to say the least. Left to their own devices, the vampires in this story would most certainly prey on human beings. They are predators and must be confined, if not destroyed outright. This is not the case with living minorities. Contrary to what some people seem to think, Jews don’t drink human blood. Overall, Redlaw is an fairly entertaining read, even if it takes itself a bit too seriously. It’s not a patch on Hard Spell or Midnight Riot, but it will do. 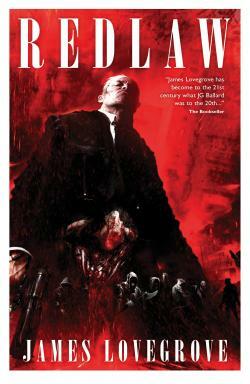 I’ll most likely pick up the sequel at some point, though I hope Lovegrove quits before the premise gets stale. After all, H.G. Wells never wrote Return to the Island of Doctor Moreau or The Time Machine, Part Two. While many readers of modern day Victoriana believe that Sherlock Holmes and Dr. Watson have their criminal opposites in Professor Moriarty and Colonel Sebastian Moran, this isn’t really the case. The Professor and the Colonel, though they have been portrayed as a Holmes-and-Watson type duo in countless non-canonical books, TV shows and films, never share a scene together in the works of Arthur Conan Doyle. Nor do they appear in a great many Doyle stories. “The Napoleon of Crime” appears in two, while “the second most dangerous man in England” only rates one. Conan Doyle created both men to fit specific plot purposes. He invented Moriarty in order to kill Holmes. After a change of heart, he used Moran to bring him back from the dead. Once these ends were accomplished, both characters were quickly discarded. More worthy of comparison to Holmes and Watson, but less familiar to American audiences, are A.J. Raffles and “Bunny” Manders, gentlemen thieves. Raffles and Bunny are hardly master criminals. They don’t sit at the center of a vast criminal network, but operate alone. Rather than pull off elaborate, impossible-seeming thefts, they choose easy scores and careless victims. Nor do they cross swords or match wits with famous master detectives. They have enough to do outwitting their victims and evading the ordinary police. Though less impressive than the exploits of France’s Arsene Lupin, their crimes have a more credible, less fanciful feel. Compared with Moriarty and Moran, Raffles and Bunny seem more like real people with genuine motives and emotions. A.J. Raffles is a sensation seeker who views his burglaries as ‘sport’. 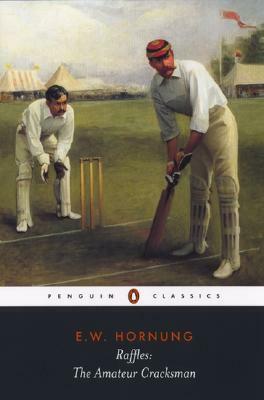 In the story “Gentleman and Players” he professes to be bored with cricket–which he excels at–because it does not compare with crime. As he says, “What’s the satisfaction of taking a man’s wicket when you want his spoons?” Scoring points in a mere game does not satisfy like stealing silver. Were it not for an ill-defined code of gentlemanly conduct, Raffles might go further still. In “Willful Murder” Raffles and Bunny contemplate silencing their blackmailing fence, Angus Baird. Over dinner at his club, Raffles proclaims “the biggest man alive is the man who’s committed a murder and not yet been found out…. Just think of it! Think of coming in here and talking to the men, very likely about the murder itself; and knowing you’ve done it; and wondering how they’d look if they knew! Oh, it would be great, simply great!” Circumstances prevent Raffles from testing this theory, but it’s clear that the possibility of being caught adds zest to Raffles’ exploits. By contrast, our Watson-like narrator Bunny Manders is both more moral and more cowardly. He dreads exposure, and his conscience needles him every time he participates in one of Raffles’ crimes. But these misgivings are completely overwhelmed by his admiration of his bolder friend. Bunny first met A.J. at school, where he became the older boy’s dogsbody–a relationship that is taken to institutional levels in British public schools–and helped him commit petty misdeeds. Though both are now adults, the basic nature of their relationship remains the same. Critics and parodists have suggested that Bunny is a repressed homosexual, and there is some evidence for this. In “The Ides of March” Bunny dwells on Raffles’ “curly black hair” and “strong, unscrupulous mouth.” He calls him “irresistible” and “masterful.” However, this is the first ever Raffles story, and some description of the man’s appearance and character is required. Gay or straight, Bunny is completely under Raffles thumb. And so, by extension, is the reader. Taken together, Raffles and Bunny represent a peculiarly European phenomenon, upper class gentlemen who are too poor to afford the “polite society” into which they have been born and to “well brought up” to work. Neither members of the peerage nor the professional classes, they are literally at loose ends. You can see similar men cluttering up the Drones Club of P.G. Wodehouse. Bunny tries to make an honest living, but the only thing he can bring himself to do is write poetry. Raffles would make an excellent businessman, but disdains such dull labor. Given their social standing and character flaws, it seems inevitable that they would turn to crime. Though the stories that make up The Amateur Cracksman (1899) were first published individually, taken together they read like a continuous narrative. Hornung followed up with two further story collections–The Black Mask (1901) and A Thief in the Night (1905)–as well as a full length novel–Mr. Justice Raffles (1909). The Raffles stories were quite popular in their day and are still read a remembered in UK even now. It’s easy enough to see why. The stories are light, entertaining, and composed in a highly readable style. I recommend them to anyone who enjoys Victoriana, but wants a break from Steampunk and Sherlock Holmes. I suppose it was bound to happen. At the start of the year I made a resolution to make The Weekly Rot truly weekly again. Now here it is, only the beginning of April, and I’ve cocked it up already. Yup, it’s been more than a week since my last post. Of course, I have plausible excuses. For a start, the previous post on union membership felt important to me, and I wanted to give it a little more time at the top. Beyond that, my college observed Spring Break last week, so I considered myself on vacation. Finally, for most of the last couple of weeks, I’ve had my head firmly wedged in a great big book. I’m a slow reader, so I’m not normally a fan of massively thick novels. Speed aside, I believe my favorite genres (horror, crime, science fiction) are not well served by extreme length. Take Stephen King’s The Stand as an example. Yes, it’s considered a classic, but few readers would argue that the book is well constructed or arrives at a satisfactory ending. In my opinion, a book in any of these categories should top out between 350 and 400 pages. Many works of even less length are exceptional. Racking up a mere 218 pages, Robert Charles Wilson‘s Bios is more of a novella, really. Even so, it’s a perfect clockwork of plotting and theme. Epic Fantasy is an obvious exception to this rule–hence the Epic–but I’ve read very little of this since my teens. 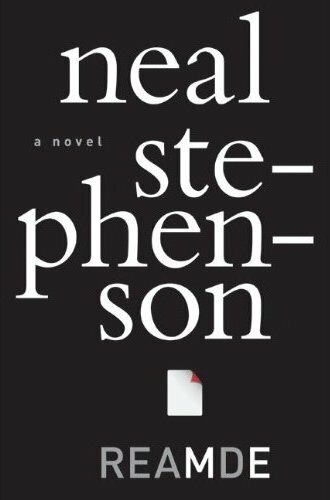 Several people whose taste in books I trust have recommended Stephenson to me over the years, but I have always been daunted by the length issue. In the spirit of trying new things, I selected REAMDE more or less at random and brought it home from the library. The sheer size and weight of the book were a bit off-putting. At 1,044 pages, you could easily batter someone to death with Stephenson’s novel. It did not sit comfortably on my lap. Nevertheless, I cracked the cover and read. Well-written, funny, and intelligent, REAMDE got its hooks into me very rapidly. REAMDE falls into a new sub-genre that really doesn’t have proper name yet, but that I like to call Near Present. Notable works in this field include William Gibson‘s Blue Ant Trilogy (Pattern Recognition, Spook Country, Zero History) and certain works by Charles Stross (Halting State, Rule 34). 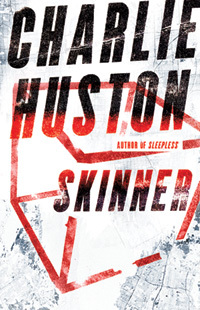 Charlie Huston’s upcoming Skinner looks like it will belong as well. As a whole, these books deal with the absurdities of the internet age. The protagonists often have the sort of tech industry non-careers that didn’t exist ten or fifteen years ago. These are frequently contrasted with characters from developing nations. Interconnectedness is common theme, displayed in plots rife with random meetings and odd coincidences. Though structured like thrillers, the action in Near Present novels is often set in motion by something trivial or absurd–the violent conflict in Zero History begins with the theft of the design specs for a pair of pants. REAMDE begins in a similar vein. A Chinese hacker creates a virus that attacks players of T’Rain, a popular MMO, encrypting all the files on their computers. The victims can obtain the encryption key by paying a ransom of 1,000 T’Rain gold pieces, equal to a mere seventy-three real world dollars. But paying the ransom has become problematic, as the in-game drop point is choked with players desperate to get their files back. One of these players is Wallace, a money manager for a Russian gangster who goes by the name of Ivanov. Wallace would like to pay the ransom, but since Ivanov is short tempered and doesn’t really get computers, he ends up kidnapping a pair of American hackers and flying them to China with the intention of tracking down and killing the virus writer. All this happens in the first hundred and fifty pages. From there, things just get weirder. REAMDE is a true ensemble piece, the point of view rotating through a wide cast of characters. The main players are Richard Forthrast, co-creator of T’Rain and retired CEO of its corporation, and his niece Zula, a young Eritrean woman who was adopted into the Forthrast family at the age of eight. Other characters shouldering story duty include Sokolov, a former Spetsnaz officer who works security for dubious characters like Ivanov, Csongor, a hulking Hungarian systems administrator also in Ivanov’s employ, Qain Yuxia, a Hakka tea wholesaler, Marlon, creator of the REAMDE virus and de facto head of a Chinese gold farming operation, and others. While the novel is certainly generous enough to support such a large cast, some characters get introduced at oddly inconvenient moments. For example, Olivia Halifax-Lin, an MI6 deep cover agent in China, first appears, complete with copious back story, right in the middle of an otherwise splendid firefight. Despite an action heavy plot, Stephenson manages a lot of truly funny moments. Richard Forthrast’s doorbell rings while he is playing the ultra-powerful T’Rain character Egdod. Since Egdod’s voice is a Godlike boom, the bell sounds out over an entire city in the game world. Sadly, there are just as many technical asides that I could have lived without. The peculiar psychology of screen brightness, while mildly interesting, was not worth interrupting the narrative flow, at least not for me. (He also tends to go on about geography.) Maybe it’s just the size thing. I might have been more tolerant of these digressions in work that was shorter– and more tightly plotted–overall. Or if I were used to reading longer books. This dichotomy pretty much sums up my reaction to REAMDE. While individual pages, scenes, and set pieces were compelling, the sheer size of the book transformed a page-turner into a slog. Much as I enjoyed REAMDE, by the end I just wanted to be done with it. In my view, a truly successful novel should leave readers wanting more, not wishing there had been a bit less.